Mystery Photograph No. 36 is from the Gordon Evans collection showed a badly damaged aircraft on the Flight Deck of an RAN aircraft carrier. Tiny Warren was the only response, and he provided the correct answer. 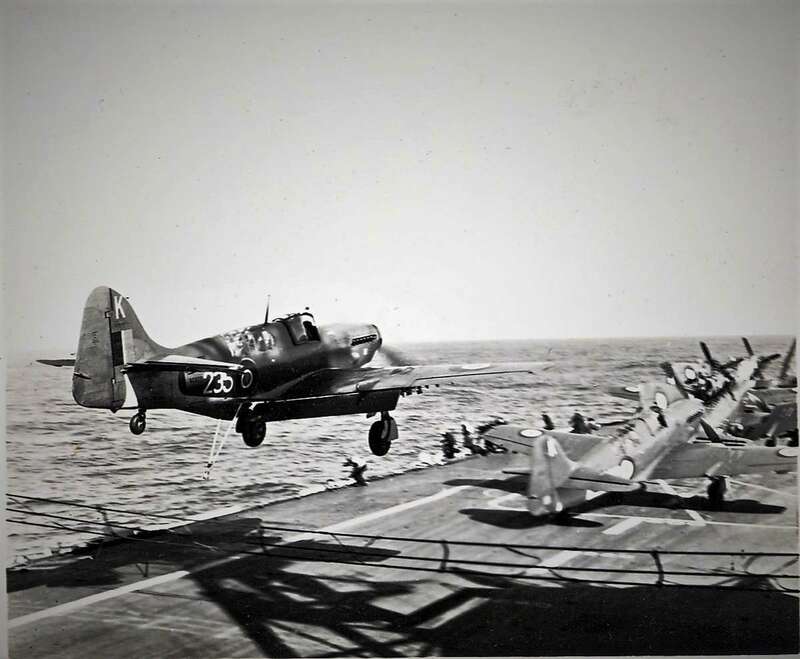 On 15 March 1949 A/Lt D. Buchanan floated Firefly 235 (VG973) over all arrester cables and the forward barrier of HMAS Sydney to arrive in the deck park, as per the photograph below. Note the deck party collectively beating a very hasty retreat in anticipation of what was about to happen! Tiny Davis is the figure just under the starboard main wheel of the 235. The resultant impact with Firefly 227 (VH133) (top photograph) wrote off that aircraft. Remarkably, the Observer was in it at the time but had bent forward to pick up some papers from the cockpit floor and was unhurt in the impact, or by the propeller that chewed his cockpit to shreds. It was obviously not his day to die! (Image: Gordon Evans collection). 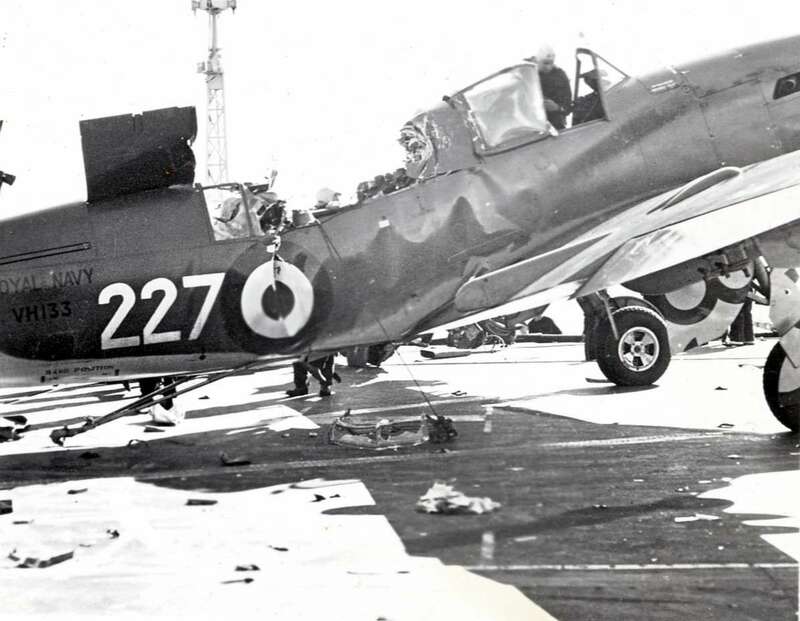 You can read about this and many other interesting incidents regarding the Fairey Firefly in the Heritage Article here.